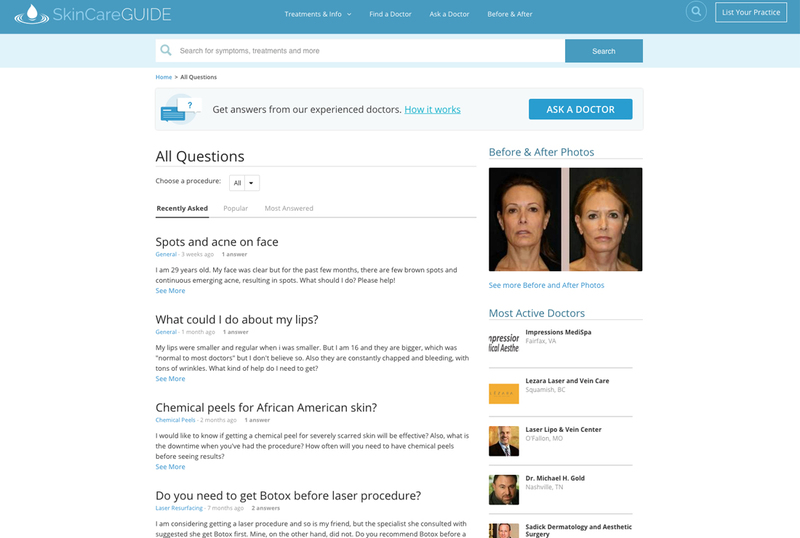 SkinCareGuide.com: SkinCareGuide.com is a one-stop resource to educate consumers about a multitude of skin conditions and treatments. 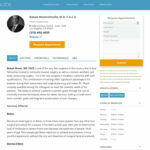 SkinCareGuide.com helps users connect with skin care specialists in their local area. Dermatologists, Med Sp3as, tattoo removal centers and other cosmetic facilities can feature their facilities in customizable profiles that include before-and-after photo galleries, location information, a link to their website, and more. 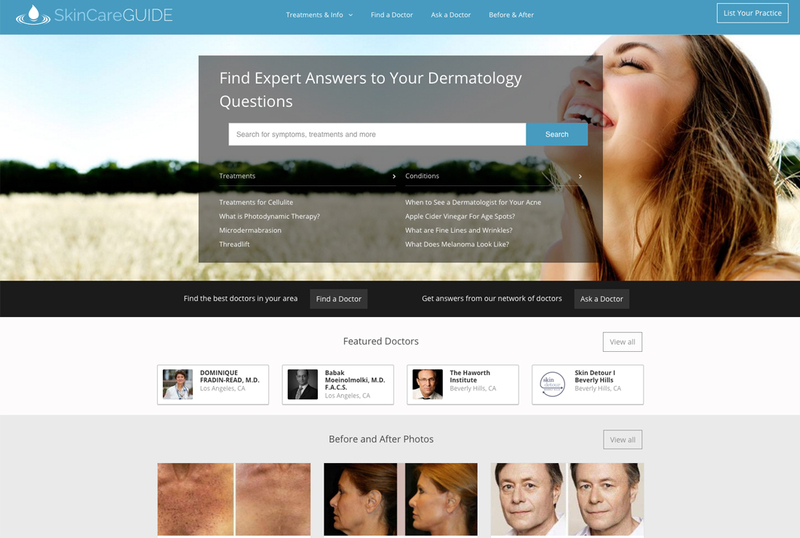 Skin care professionals can also grow their credibility through SkinCareGuide.com’s exclusive Q&A platform, by publishing answers to patients’ pressing questions. 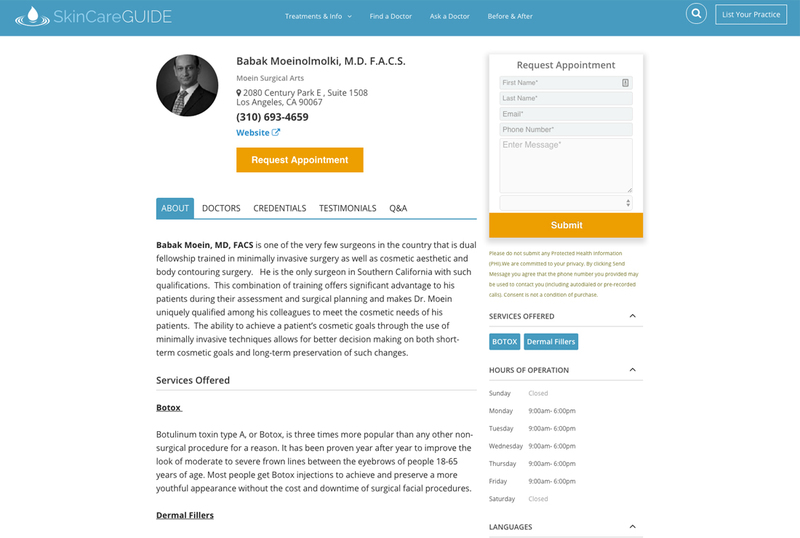 When you create a profile on SkinCareGuide.com, you will also receive FREE profile listings across eDoctors.com Dermatology Network: DermaNetwork.org and TattooHealth.org.